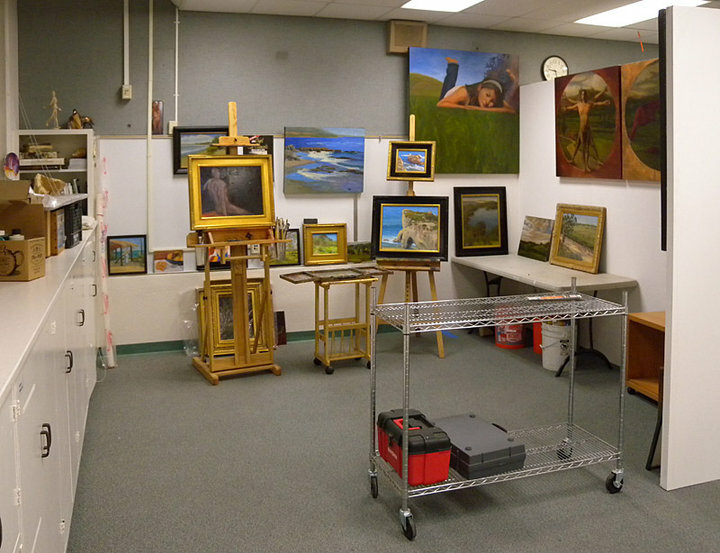 I am so glad to be back in the groove after getting moved into my new studio. The SCIART Studios have so much energy. I hope to see many new faces wondering through the studios now that we have all come together into one place. Not since my college days have I been in an environment with so much creative life swirling around me. Its inspiring and hopeful. Now… to get to work and start painting. Well, earlier last week I did just that. I started on Monday in Dave Gallup’s studio and got my feet wet with a small still-life study. Then on Tuesday, I went out with a group to the Limonera Ranch where we all found a little niche to sit a while and find our peace with the scenery. 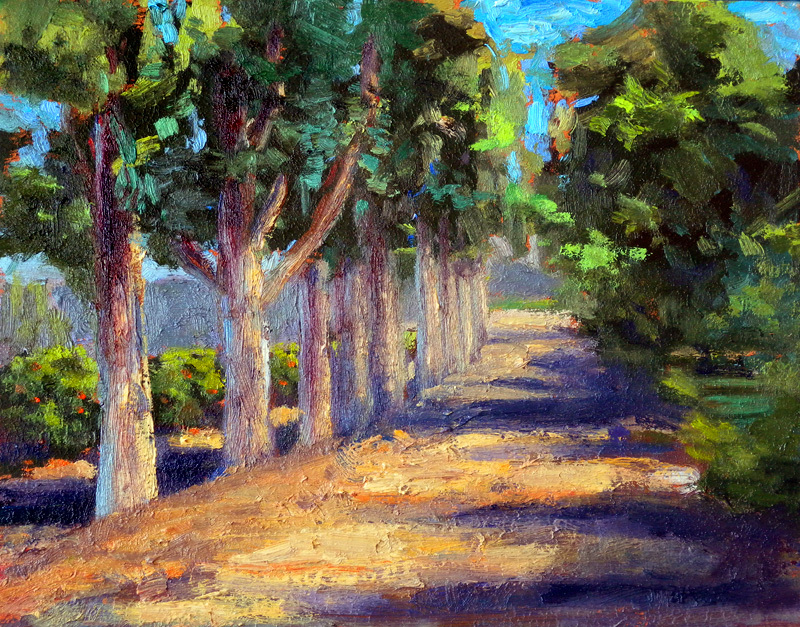 I came up with this roadway between a small creek and an eucalyptus lined orange orchard. It was a great way to get my new studio life started… outdoors! It looks really great Rich! Turned out really nice! I saw this and your other paintings at the SCIART show the other day. I couldn’t make it yesterday because I had to be in the hospital with my Dad, but I enjoyed seeing your work again.